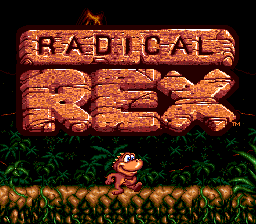 Radical Rex is a platform game developed by Beam Software and published by Activision for the Sega Mega Drive and Sega Mega-CD. The Mega Drive version was only released in North America and Europe, while the Mega-CD version did not leave North America. Main article: Radical Rex/Magazine articles.